Rose Berger, 82, of 821 E. Brighton Ave., died today in Crouse-Irving Memorial Hospital after a short illness. She was employed by the former E.W. Edwards and Son and Dey Brothers stores in the millinery departments. She retired in 1960. 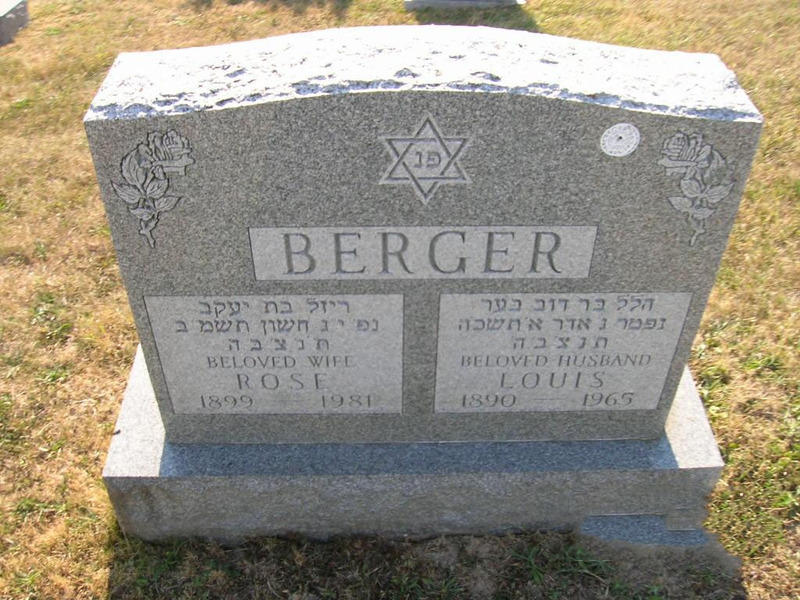 Mrs. Berger resided in Syracuse 60 years. Surviving are a son, Arnold Berger of DeWitt, who is director of pupil services in the Syracuse School District; a daughter, Maxine Berger of New York City; four grandchildren, and a great-grandchild. Services will be at 2 p.m. tomorrow at Birnbaum Funeral Chapel, Rabbi Theodore S. Levy and Cantor Harold Lerner officiating. Burial will be in Adath Yeshurun Cemetery. Calling hours are 1 to 2 p.m. tomorrow. Contributions may be made to Temple Society of Concord.